Baader's T2-22 # 1508037 adapter converts the Vixen M43 (medium) internal thread to external T-2 threading. This will permit you to solidly attach the full range of Baader ASTRO T-2 System mechanical and optical components to the medium Vixen threading. Note: This adapter does not fit Takahashi (it is not the same M43 thread pitch as the Takahashi T2-12). 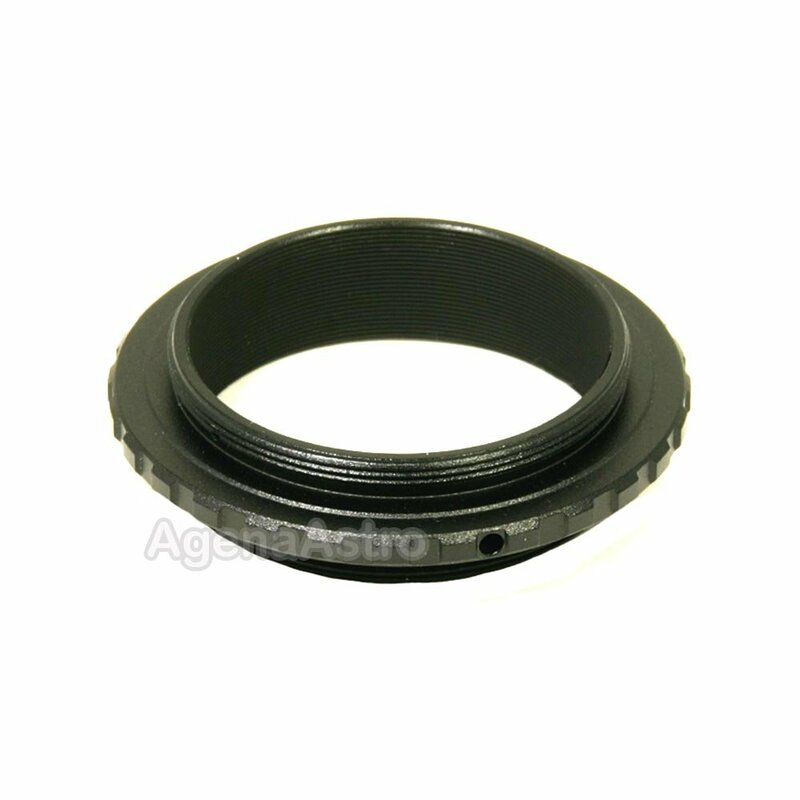 As with all Baader Planetarium components, even this adapter ring exhibits an attention to function and detail. Now, your Vixen or Chinese telescope can utilize Baader's flexible array of components to enable you to produce virtually any visual or imaging configuration that you can imagine. This adapter is particularly useful for attaching Baader's OPFA System (afocal and ocular projection) and Click-Lock Eyepiece Holder to your Vixen telescope. I have a Celestron (Vixen) SPC102 refractor purchased in 1988. I was looking for a way to attach T2 accessories directly to the existing focuser drawtube. The M43 to T2 adapter is a perfect fit to the 43mm drawtube of the SPC102. Keep in mind neither the Celestron focuser nor this adapter rotate. Your T2 accessories will need to accommodate any rotational positioning.